Share price of Prabhat Dairy surged 20 percent in the early trade on Tuesday after company board approved sale of its stake in step down subsidiary. Company board approved the sale of the company’s shareholding in its wholly owned step down subsidiary, Sunfresh Agro industries (SAIPL) to Tirumala Milk Products, a wholly owned subsidiary of French dairy multinational Groupe Lactalis, for total consideration of Rs 1227 crore. Also the company board approved the sale and transfer of company’s dairy products business, together with all specified tangible and intangible assets contracts, rights, personnel and employees, data and records, inventory and other assets and liabilities as agreed between the parties in relation to the said business by way of slump sale on a going concern basis, to SAIPL, post completion of transfer of SAlPL shares to the purchaser as contemplated above, for a total consideration of Rs 472.81 crore. The above transactions are subject to customary conditions precedent including, shareholders’ approval, CCl approval, and is expected to close in Q1 of Financial Year 2019-20. Vivek Nirmai, Joint Managing Director of Prabhat Dairy said, “The association with Lactalis-one of world‘s largest dairy players will offer this business a strong platform for accelerated growth momentum in becoming one of the largest private dairy businesses in India. I strongly believe that this partnership offers a promising future to our team members, partners and stakeholders. The company intends to share a substantial portion of the proceeds from the sale with shareholders after meeting its tax and transaction cost obligations, company said in release. 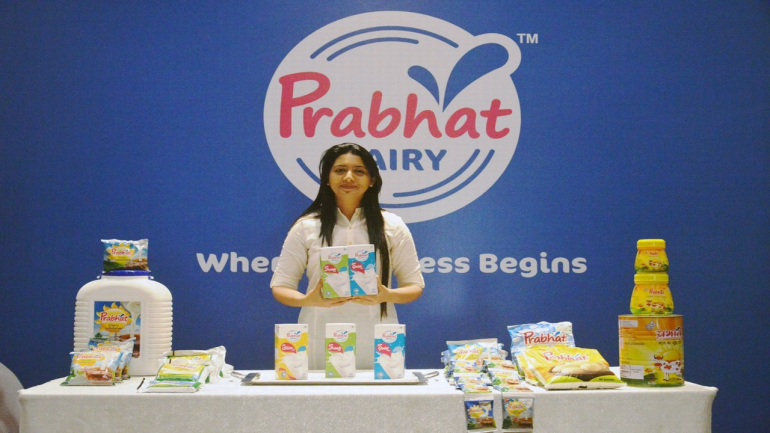 After closing of the transaction Prabhat Dairy intends to further develop its cattle feed business in various parts of the country, as well as expand into allied businesses such as animal nutrition and animal genetics, it added. At 09:20 hrs Prabhat Dairy was quoting at Rs 109.15, up Rs 16.10, or 17.30 percent on the BSE.